I was surprised to find out that Dublin's policies on gluten free food at restaurants is much more strict than anywhere else I've seen before. Restaurants and bakeries are legally mandated not to serve anything gluten free that was prepared in the same kitchen as gluten. While there are gluten free options in many restaurants, we came across several bakeries that expressed the desire to serve gluten free options but said they needed to first find a separate facility to produce the product. And many of the restaurants that have gluten free offerings bring in the prepared products from an outside gluten free facility. So if you are sensitive to gluten, you can feel safe eating gluten free in Dublin! This Italian restaurant was across the street from our hotel in the city center. The atmosphere is casual and clean with waiter service and reasonable prices. We had an early dinner because we wanted to catch the Early Bird specials. Restaurants in Dublin don't have Happy Hour, but have something similar called the Early Bird menu. Typically, alcoholic drinks are not on special but there are select food items that are offered at a reduced rate for dinner before 7pm. 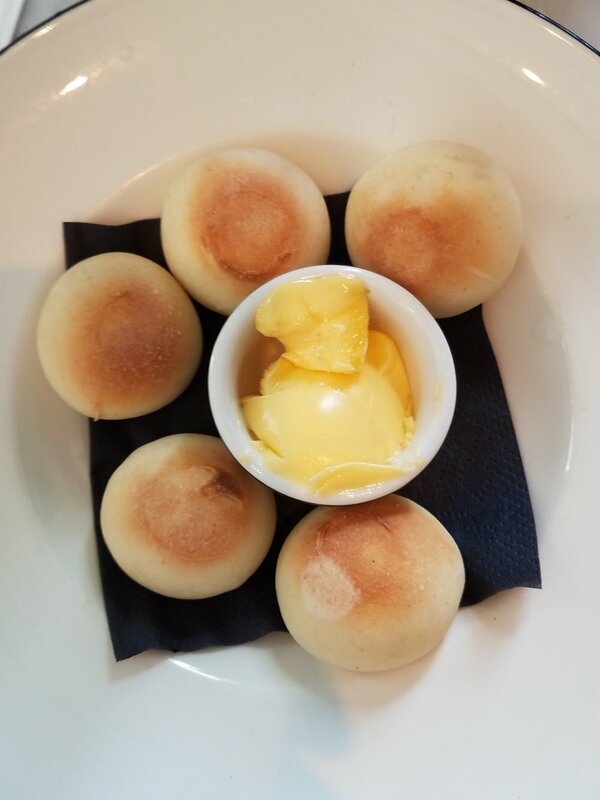 MIlano's claim to fame are their Dough Balls, which are basically pizza dough rolled into bite sized balls and dipped in butter. Since they were highly recommended by our server, we ordered the gluten free dough balls. I expected something more doughy, but there was nothing special about them. They just tasted like mini bread rolls with a crusty outside and slightly dense inside. The gluten free pizza was disappointing. As you can see from the photo, there was barely any cheese on our pizza. The crust was kind of cardboardy tasting. The manager told us that they get the gluten free pizza crusts pre-made from a gluten free bakery in Dublin. They are not allowed to make the crust from scratch on premise because of issues with cross contamination. It was also fun to be able to order gluten free beer off of the menu in one of the beer drinking capitals of the world! Even though Josh doesn't like beer, his attitude was When In Rome! Next to Dublin's famous Temple Bar, Boxty is one of the many packed and trendy restaurants on Temple Bar Street. It was only 6pm when we went and the place was already crowded. There are two floors with plenty of tables but squeezed tightly together. The tables are candle lit and the restaurant is dim to set a cool ambiance. For us, the main draw back was that there were no high chairs for our 11 month old, and since the space is so small, they don't allow strollers into the restaurant. However, the manager found a table for us in the corner of the restaurant where we were able to fit our stroller- so they were accomidating in that way! The menu is a modern twist on traditional Irish cuisine with featured items like smoked fish and chips and Irish Beef and Stout stew served with Irish soda bread. The Boxty Tasting Slate was the highlight of the meal. Boxty Dumplings with Honey & Chilli, Toasted Boxty Loaf topped with St. Tolas Goats Cheese, and Boxty Fries with a Rocket & Garlic Dip. The Boxty Fries were out of this world! Unbelievably tasty and crispy fries made out of potato pancake. In fact, they were so good that we ordered a second side of fries for dessert. A fast food restaurant with no physical charm or ambience to write home about, this restaurant is a MUST HAVE for anyone who is gluten free! They make the most unbelievable and perfectly crispy gluten free fish and chips. In fact, the GF fish and chips are even better than the non gluten free ones. The batter that they use gets extra crispy in the fryer, while the normal ones came out slightly soggy. The gluten free menu is a deep fried food lover's dream and will blow you away. Items include GF fried calamari, GF fried chicken goujons, seafood chowder, and a variety of fried fish options. We inhaled two orders of gluten free fish and chips made with cod, gluten free onion rings and gluten free cod goujons (like fish nuggets). The chips (french fries) were just up my alley too- thick and potatoey (I really don't care for shoe string fries) and the fish and chips were served with a delicious house made tartar sauce. We also got a gluten free beer and gluten free cider to share to round out the meal. It was nice to see other families eating there together and ordering everything gluten free for the table even though not everyone was gluten intolerant. The GF food is just that good! The Thursday Cafe Dublin Food Coop. We were on our way to visit the Teeling Whisky Distillery to learn about the process of making Irish Whisky and do a whisky tasting (we love to incorporate all sorts of craft food and beverage tastings into our holidays!) It was early afternoon and we had been walking all day. Our tummies were ready for a quick lunch! Next to the distillery, we passed by a sign that said Gluten Free & Vegetarian, which in our language means C'mon In! The Thursday Cafe is part of Dublin's Food Coop. It felt more like a cafeteria than a restaurant. The space appeared to have been a school or community gym. Most of the customers were women with little children. Children ran around energetically and played with old toys and blocks provided by the coop with while mothers conversed over a salad or coffees. The sitting area was filled with long communal tables and a few old couches that were in desperate need of reupholstering. When you are finished eating, you clean up after yourself, with separate bins for composting, trash and recycling. The restaurant definitely had a very earthy and hippy vibe. The food was very homemade and rustic tasting. You can see from the images that it wasn't particularly pretty, but filled with healthy vegetables, cheeses and many gluten free options. 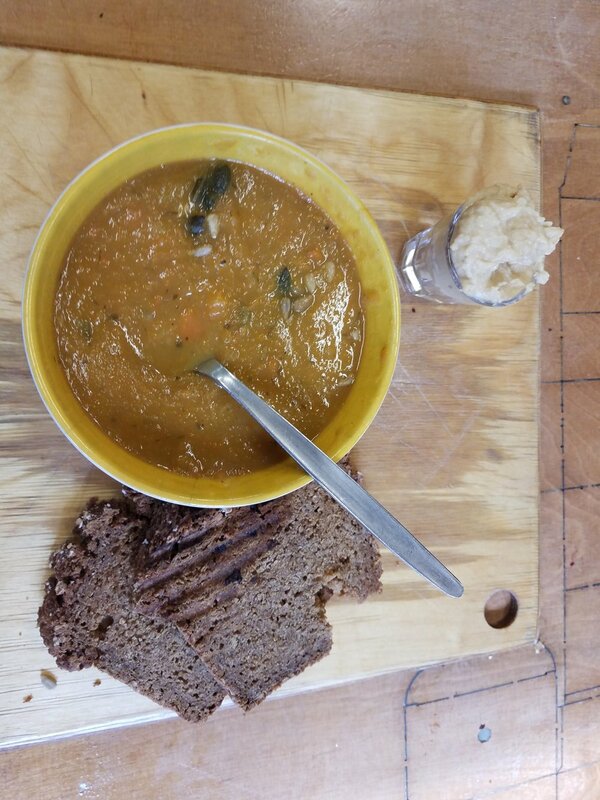 There was a curry lentil soup that was delicious, served with a gluten free charcoal bread and hummus. The bread was very dry but also extremely healthy tasting and the hummus was excellent (more chunky and emphasis on chickpeas rather than tahini). 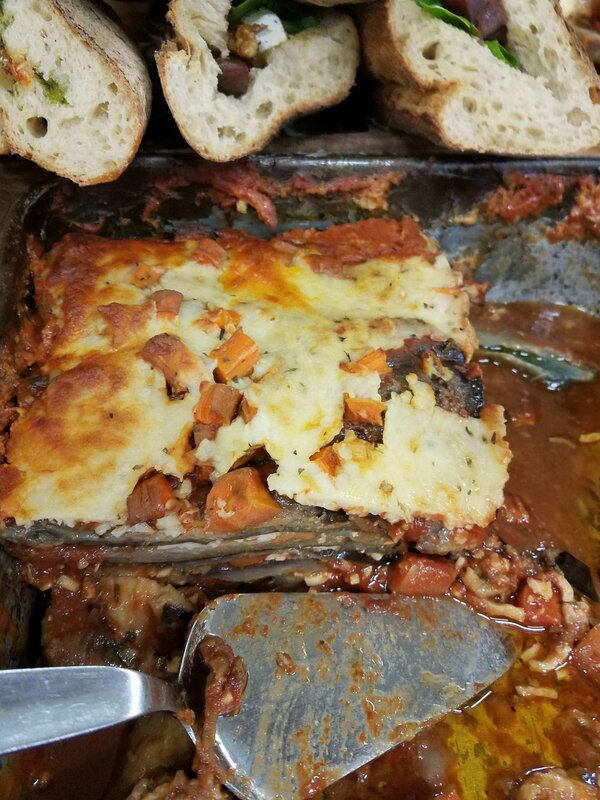 The gluten free vegetable lasagna had been sitting out for a few hours already and the cheese looked all hard, so we passed on that. The GF seasonal vegetable and goats cheese quiche was nice. There was another vegetable quiche that had already sold out. I also had a cappuccino made with organic fair trade coffee beans, which I really enjoyed. I really needed that boost of caffeine! 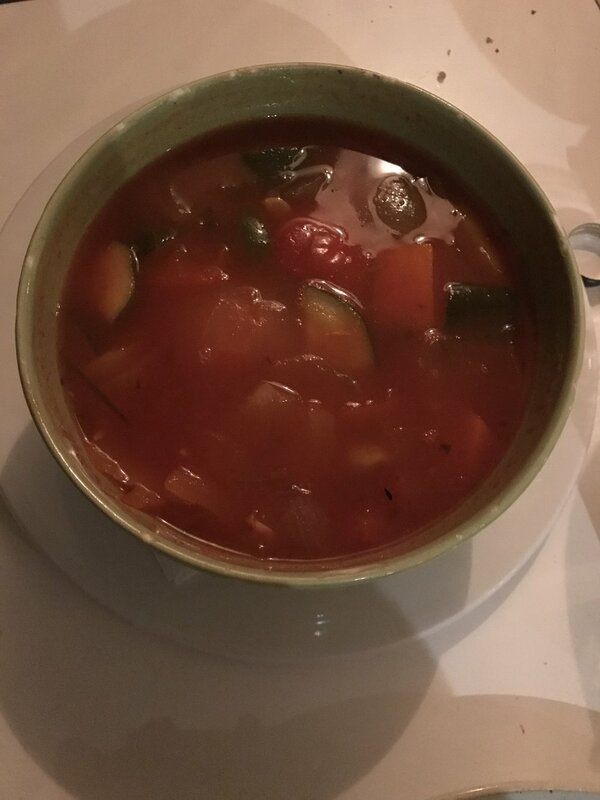 The Thursday Cafe is not a dining experience but is a cheap and quick place to stop for a healthy lunch, especially if you're on your way to the Jamison or Teeling Whiskey distilleries. A charming little bakery and cafe open for breakfast, lunch and high tea. There are two levels, but small and limited seating. What I like about a neighborhood cafe like this is that they seem to have their regular daily customers. They have a selection of teas and coffees, cakes and sandwiches. There were a few gluten free cakes that we had our eye on. Particularly the adorable little tea cakes in flavors of banana, toffee and lemon. There was also a decadent looking flourless chocolate cake with fresh raspberries. Recommended for a quick place to have mid morning or afternoon tea. In the departures area of the Dublin Airport there is a large food hall with a wide array of cuisines. I was pleasantly surprised to also see that in the bakery area, there were a selection of pre-wrapped gluten free cakes and scones.